Ronald Lee Ermey known professionally as R. Lee Ermey, is an American actor, best known for his role as Gunnery Sergeant Hartman in Full Metal Jacket. Born in Emporia, Kansas, on March 24, 1944, Ermey was raised with five brothers on a farm outside of Kansas City, Kansas. In 1958, he and his family left Kansas and moved to Toppenish, Washington. As a teenager, he often got in trouble with local authorities, and was been arrested twice for criminal mischief by age 17. After his second arrest, in 1961, the judge gave him a choice between joining the military or being sent to jail; he chose the military. Ermey enlisted in the Marine Corps and went through recruit training at Marine Corps Recruit Depot San Diego in San Diego, California. For his first few years, he served in the aviation support field before becoming a drill instructor in India Company, 3rd Recruit Training Battalion, at Marine Corps Recruit Depot San Diego, where he was assigned from 1965 to 1967. Ermey then served in Marine Wing Support Group 17 at Marine Corps Air Station Futenma on Okinawa, Japan. In 1968, he was ordered to Vietnam with MWSG-17, and spent 14 months in the country. The remainder of his service was in Okinawa where he was promoted to staff sergeant and medically discharged in 1972 because of several injuries incurred during his service. Ermey was cast in his first film while attending the University of Manila in the Philippines, using his G.I. Bill benefits. He played a First Air Cavalry chopper pilot in Apocalypse Now, doubling as a technical advisor to director Francis Ford Coppola. Ermey then was cast as a Marine drill instructor in Sidney Furie‘s The Boys In Company C. For the next few years, he played a series of minor film roles until 1987, when he was cast as drill instructor Gunnery Sergeant Hartman in Stanley Kubrick‘s Full Metal Jacket. Initially, he was intended to be only the technical advisor. Kubrick changed his mind after Ermey put together an instructional tape, in which he went on an extended rant towards several extras, convincing Kubrick that he was the right man for the role. Seeking absolute military authenticity for the film, Kubrick allowed Ermey to write and edit his own dialogue and even improvise on the set, a notable rarity in a Kubrick film. Kubrick later indicated that Ermey was an excellent performer, often needing just two or three takes per scene, also unusual for a Kubrick film. Ermey’s performance won critical raves and he was nominated for a Golden Globe Award as Best Supporting Actor. He later played a drill instructor in the pilot episode of Space: Above and Beyond and the ghost of a drill instructor in the film The Frighteners, both similar to his character in Full Metal Jacket. Ermey has since appeared in about 60 films, including Purple Hearts, Mississippi Burning, The Siege of Firebase Gloria, Dead Man Walking, Seven, Fletch Lives, Leaving Las Vegas, Prefontaine, Saving Silverman, On Deadly Ground, Sommersby, Life, Man of the House, Toy Soldiers, and The Salton Sea, as well as the remakes of Willard and as an evil sadist in the two The Texas Chainsaw Massacre films. Ermey also lent his voice to The Grim Adventures of Billy & Mandy, Toy Story, Toy Story 2, and Toy Story 3, as well as Roughnecks and X-Men 3. He usually appears in a commanding military role, for shows such as Kim Possible, The Simpsons, Family Guy, SpongeBob SquarePants, Miami Vice, House, Scrubs, My Life as a Teenage Robot, and Invader Zim, in addition to hosting the documentary series Mail Call and Lock N’ Load with R. Lee Ermey. Ermey lended his voice to several video games, including Fallout Tactics: Brotherhood of Steel (as General Barnaky) and Crash Bandicoot: The Wrath of Cortex (as Wa-Wa). He also made a cameo in Real War: Air, Land, Sea, a retail real-time strategy computer game based on the official Joint Chiefs of Staff training game. In 2014, he did voice-over work for Call of Duty: Ghosts. Ermey is the co-founder of the Bravery Brewery in Lancaster, California. On May 17, 2002, Ermey received an honorary post-service promotion to gunnery sergeant from the Commandant of the Marine Corps General James L. Jones in recognition of his continuing support to Americans in military service; becoming the first retiree in the history of the Marine Corps to be promoted. He has also conducted morale tours visiting troops in locations such as Al Kut, Iraq, and Bagram Airfield, Afghanistan, in which he filmed parts for his television show Mail Call. While at Bagram Airfield, he held a USO-type show in which he portrayed GySgt Hartman and conducted a comedy routine. He also did the same at Doha, Qatar and Camp Doha, Kuwait City, Kuwait, in 2003. He is also the official celebrity spokesperson of the youth organization, Young Marines . Frank Emmanuel Petersen Jr. was born in Topeka Kansas on March 2, 1932. He became the first African American Marine Corps aviator and the first African American Marine Corps general. After graduating from Topeka High School in 1949, Peterson attended Washburn University for a year and then enlisted in the U.S. Navy, as a seaman apprentice and served as an electronics technician. When he aced the Navy’s entrance exam, he was called to retake the exam for suspicion of cheating. the recruiter told him he would make a “great steward.” The remark was particularly painful for Petersen, who said he had turned to the military because he hoped it would an escape from pervasive racial prejudice in his native Kansas. Peterson was motivated by the recent Korean War combat death of the Navy’s first black aviator Jesse L. Brown, and Petersen vowed to become a combat pilot. In October 1952, Peterson completed flight training and accepted a commission as a second lieutenant in the Marine Corps. 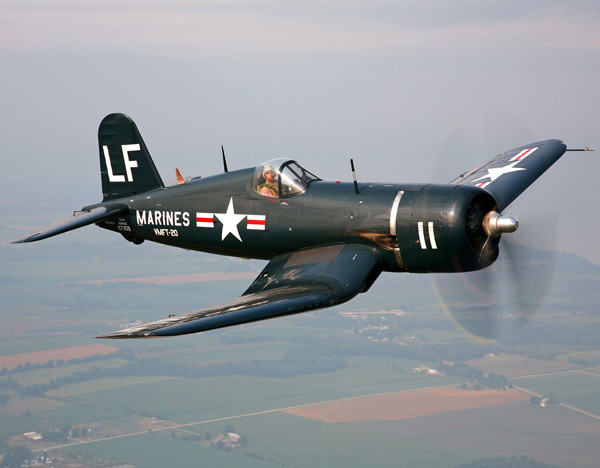 He flew Chance Vaught F4U Corsairs on 64 combat missions with Marine Fighter Squadron 212 (VMF-212), Devilcats, out of the K-6 Airfield in Pyong-Taek to the Yalu River. He earned the Distinguished Flying Cross and six air medals before the Korean War ended. 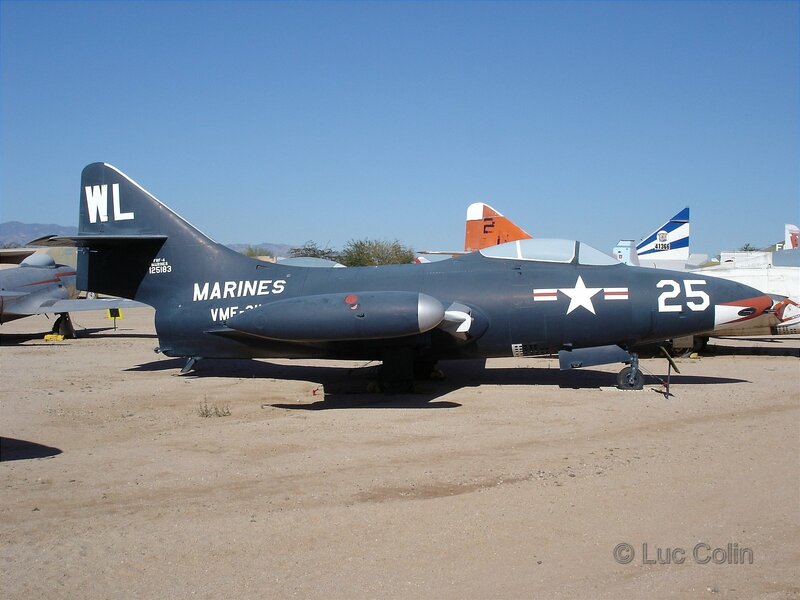 Petersen experienced the transition from propeller driven fighters to jets like the Lockheed T-33B Seastar, the Gruman F9F Cougar and the Douglas F3D Skynight. In 1968, Petersen became the first African American in the Marines or the Navy to command a tactical air squadron when he took over Marine Fighter Attack Squadron 314 (VMFA-314), the Black Knights, in Vietnam. 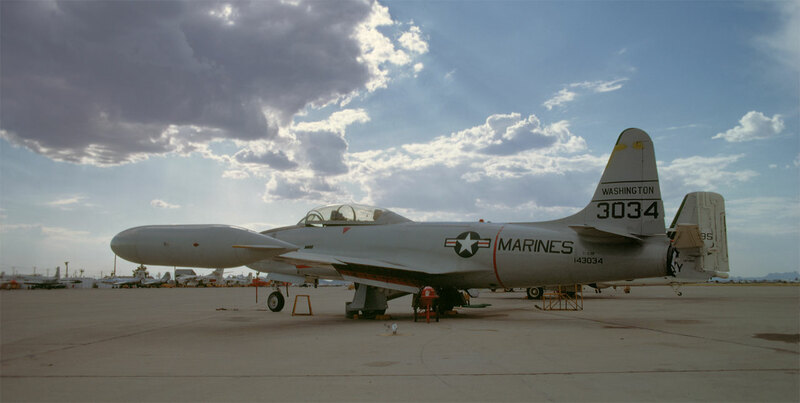 VFMA-314 received the 1968 Hanson Award for best squadron in the Marine Corps. He flew 290 combat missions during the Vietnam War between May 1968 and February 1969. In 1968, Peterson earned the Purple Heart for his actions while flying a mission in North Vietnam when he was shot down, and rescued. He has over 4,000 hours in various fighter/attack aircraft. In July 1969, Petersen became a tactical air planner/programmer in the Office of the Deputy Chief of Staff for Aviation. In 1971, he became special advisor to the Commandant of the Marine Corps in charge of African-American officer recruitment. In July 1975, Petersen was promoted to Colonel and took command of Marine Aircraft Group 32 at Cherry Point, North Carolina later that year. In February 1979 he was selected for promotion to brigadier general, in May 1983 he was advanced to the rank of major general. General Petersen was promoted to lieutenant general on June 12, 1986 and was appointed Commanding General of the Marine Corps Combat Development Command at Quantico, Virginia. When he retired in 1988, Petersen was the first black three star general in the Marine Corps and the “Silver Hawk” and “Gray Eagle” senior and ranking aviator in both the Marines and the Navy. He was awarded another Distinguished Service Medal for his command services at Quantico. Petersen received his B.A. degree in 1967 and his M.A. degree in international affairs in 1973, both at George Washington University. He also graduated from the National War College in 1973. In 1987 he was the recipient of an honorary Doctor of Law degree granted by Virginia Union University. In addition he also attended: the Amphibious Warfare School, Quantico, Va.; and the Aviation Safety Officers Course at the University of Southern California. Petersen spent his civilian years as vice president of corporate aviation for DuPont DeNemours, Inc. Managing their corporate fleet, he traveled the globe, retiring in 1997. Petersen, had five children, lived on the Chesapeake Bay. He died at his home in Stevensville, on Maryland’s Kent Island, of complications from lung cancer on August 25, 2015. He was 83. On February 23, 1979, he was promoted to brigadier general, becoming the first African-American general in the Marine Corps. In May 1983, he advanced to the rank of major general and on June 12, 1986, he was promoted to lieutenant general. Petersen relinquished duties as the Commanding General, Marine Corps Combat Development Command, Quantico, Virginia on July 8, 1988. He served as the Special Assistant to the Chief of Staff from July 8–31 and retired from the Marine Corps on August 1, 1988. Upon his retirement, he was presented the Distinguished Service Medal for exceptionally meritorious service as the Commanding General, Marine Corps Combat Development Command, Quantico, Virginia, from June 1986 to July 1988. His numerous decorations include: the Distinguished Flying Cross; the Meritorious Service Medal; the Purple Heart; the Defense Superior Service Medal; Legion of Merit with Combat “V”; Air Medal; Navy Commendation Medal with Combat “V”; and the Air Force Commendation Medal; the Robert M. Hanson award for the Most Outstanding Fighter Squadron while assigned in Vietnam, 1968; Man of the Year, NAACP, 1979; Gray Eagle Trophy, August 21, 1987-June 15, 1988. On November 9, 2016, Secretary of the Navy Ray Mabus officially announced that an Arleigh Burke-class destroyer, DDG-121, would be named in honor of Petersen.